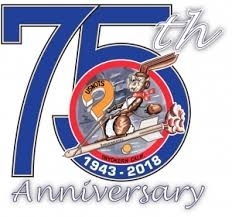 Come join the China Lake Museum Foundation as it presents activities for the 75th Anniversary of NOTS-Inyokern and the 25th Anniversary of The China Lake Museum Foundation! Some Activities REQUIRE Base Access. MUST ALREADY have Base Access to Attend. Call (760) 677-2866 or visit the China Lake Museum Off Base at 130 E. Las Flores Ave.